Just a quick post before I shut things down for the night. 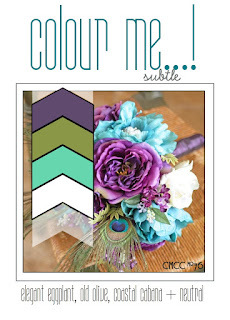 I wanted to share the card I made for the Sweet Sunday Sketch Challenge and the Colour Me...! Challenge. I think the challenges came together nicely. 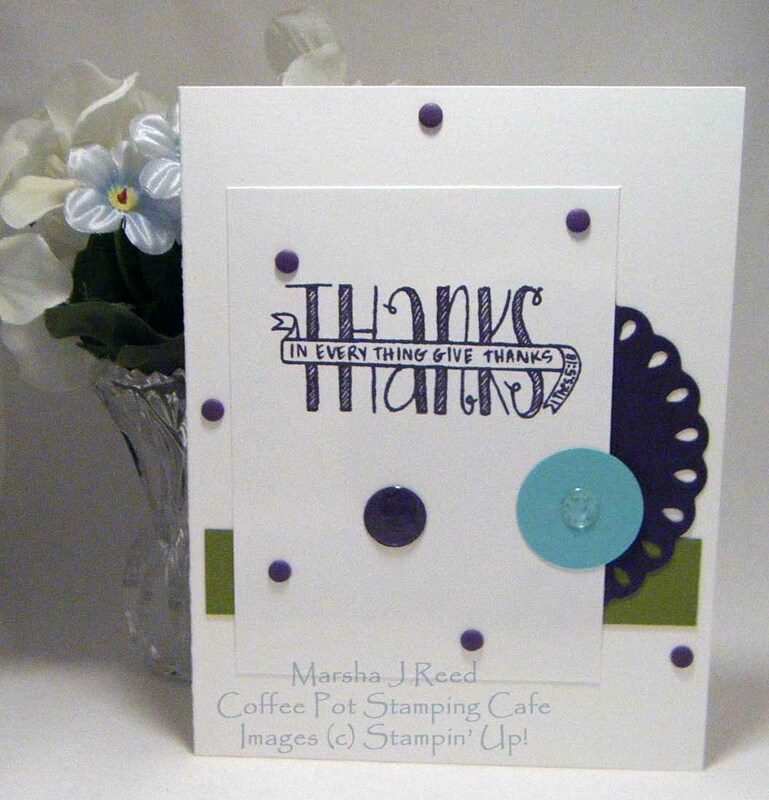 Oh, have I mentioned that I love Stampin' Up! 's new Whisper White Thick? 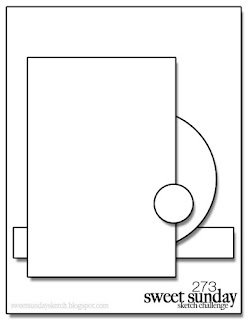 It is the perfect weight for a card base. The sketch I used is from the Sweet Sunday Sketch Challenge. Thanks, Lisa! I really enjoy challenges. They do help keep me creating, especially when I hit a slump and can't figure out what to do. Thanks so much for your kind comment, Julia! love your CAS design! Thanks for joining us at Colour Me!